8888 Cruden Bay Court Dublin, OH. | MLS# 218013512 | Dublin, Powell, and Southwest Delaware County Ohio real estate experts! 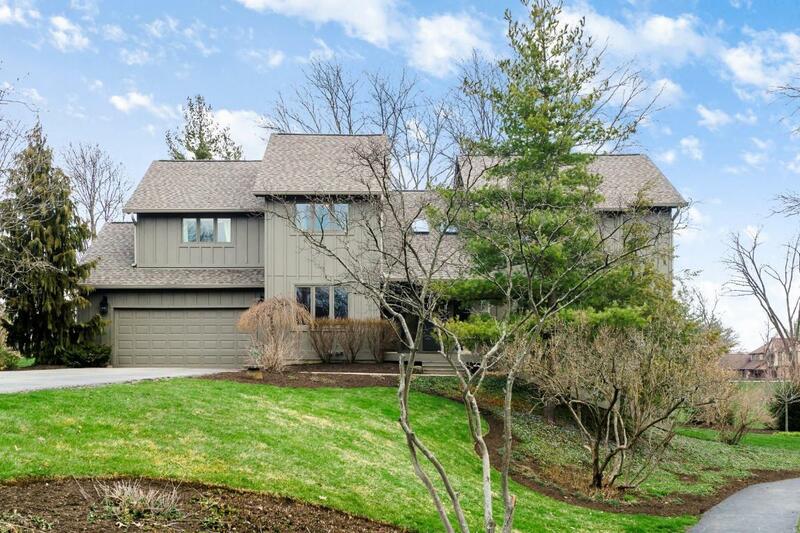 Find homes For Sale in Dublin, Powell, Upper Arlington, and Worthington. Sitting on almost .6 acres at the back of a cul-de-sac, & next to an acre of Muirfield greenspace, this location is perfectly situated. The exterior was updated last year w/ wood siding replaced and/or redone, removal of dated diagonal siding, & brand new roof. Inside you'll find a spacious & open floor plan w/ vaulted ceilings. The kitchen affords views of the green space next door & kids playing in the cul-de-sac. Enoy a great room w/ stone fireplace & large windows overlooking the treed & private yard,a study w/ painted B/I cabinets, & dining room with deck views. Upstairs you'll find 4 bdrms & 2 full baths w/ new stone countertops. You'll want to spend all your time in the walkout basement's family room w/ wet bar + beer tap, full bath, & 5th bdrm. Plus there's a treehouse & firepit!